With a history dating back to a stage coach operation founded in 1856, Patterson Warehouses, Inc. has grown to become a well known regional value-added warehousing and distribution 3PL. 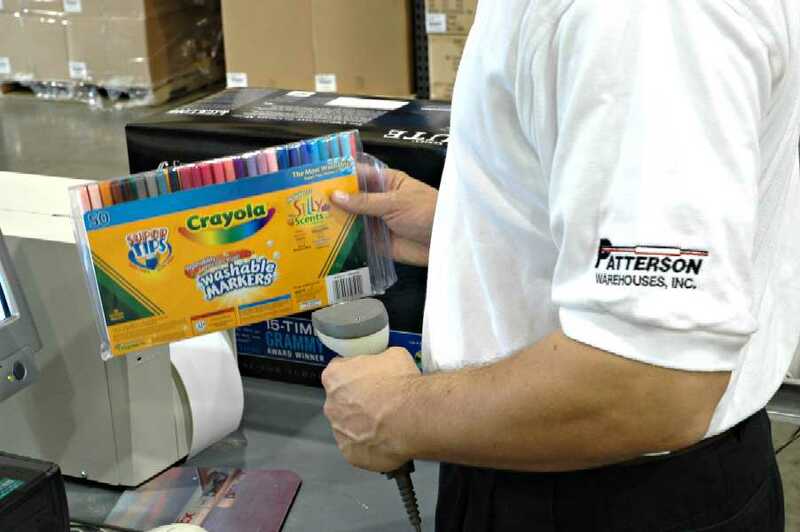 Patterson had an approximate workforce of 320 in 2005 and operates just over two million square feet of warehouse space in the Memphis, TN metropolitan area. It serves 19 major logistics customers including: Black & Decker, Conair, Crayola, Waterpik, Revlon, Yakima, and Thompson Electronics. Patterson’s customer contracts usually have 3 to 5 year terms. Patterson’s corporate headquarters and main warehouse campus is at 5388 Airways Boulevard in Memphis. From this location it manages and operates five separate food-grade facilities and various seasonal overflow sites. Value-added services include kitting, pick-pack, labeling, light assembly, cross-docking, quality inspection, and reverse logistics. To complement its warehousing operations, Patterson also runs a local cartage and intermodal container drayage operation which transports over 7,000 import containers for customers each year. Operations are supported by the Andlor LMS logistics management system which incorporates solid WMS capabilities with back office functionality. The web based “E-Trac” system provides customers with 24-hour access to inventory levels, orders status, and transaction history. RF technology and various scanning applications are utilized to facilitate real time processing on the warehouse floor and Patterson does have the capability to implement RFID functionality if required by a customer. The ability to successfully manage a multitude of retail compliance requirements is a definite company strength. This systems expertise was integral in developing the DSDC (direct store through distribution center) program for Conair and Wal-Mart. Store level orders are picked and then packed for cross dock transfer through Wal-Mart DC’s. This process utilizes UCC-128 serial labels to provide carton content data in the ASN for each individual store. In another Wal-Mart related program, Patterson kicked off a Wal-Mart LTL Direct Truckload program in October of 2005. This program combines outbound load planning and transportation management with Patterson’s warehousing operations. Local cartage is utilized to pick up LTL (less than truckload) shipments at metro Memphis Wal-Mart suppliers. Product is then brought back to Patterson’s cross-dock warehouse and is consolidated into truckloads for direct delivery to Wal-Mart distribution centers nationwide. This program has provided Patterson’s customers with significant savings over traditional LTL rates and has reduced order-to-delivery cycle times by as much as a week. The LTL Direct program is now averaging over 200 truckload shipments a month. Another value-added operation involves the building of “party kits” for Crayola Crayons “Big Yellow Box” product line. Each kit order consists of a variety of arts and craft making items and is picked, scan verified for accuracy, and then individually packed for direct home delivery via FedEx. Because Patterson’s main warehouse campus is adjacent to the Memphis International Airport, it is a “stones throw” away from the FedEx and UPS hubs which provides a late cutoff time of 11:00 pm for shipping. With its focus on value-added services and ability to think “out of the box” we anticipate that Patterson will continue to be a solid regional 3PL provider.